the counties of Lee, DeSoto, Dade and St. Lucie. Its surface varies in character from the shallow waters of Lake Oke­chobee and the slight highland north of this lake to the tide level region of the extreme southern point of the state. It is generally covered with saw-grass, a vegetation which is absolutely worthless, and is entirely without trees except around its outer margin where it ap­proaches the Atlantic Ocean on one side and the Gulf of Mexico on the other. 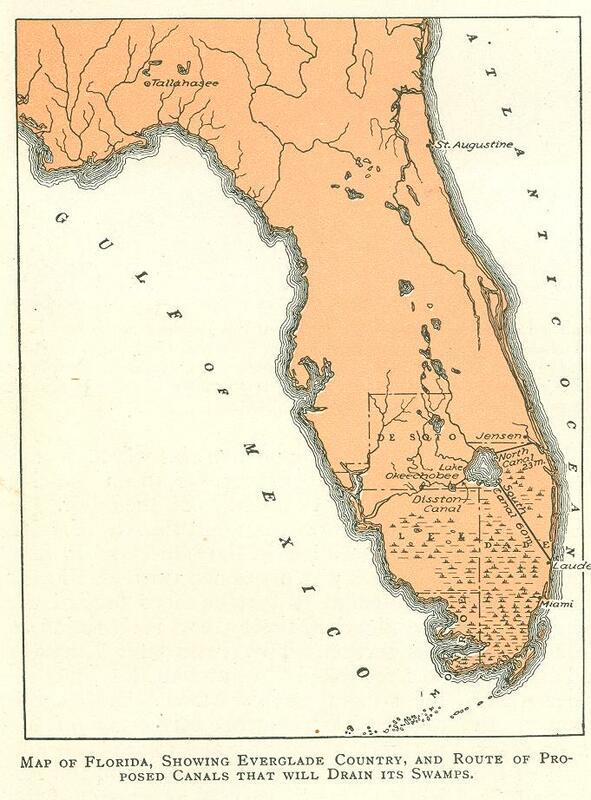 Soon after the admission of Florida into the Union, in the same year in fact, Congress was petitioned through Florida representatives to take steps toward the investigation, survey, and reclamation of this section. Two years later Congress was requested "to grant to this State all the swamp and overflowed lands south of the Caloosahatchee River and of the northern shore of Lake Okechobee and between the Gulf of Mexico and the At­lantic Ocean." 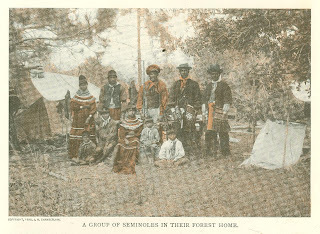 In 1850 as a result of the Arkansas Bill, Florida became possessed of the land herself under the proviso, as stated in the bill, that she should devote the moneys derived from the sale of these lands, first, to their reclamation, and afterwards, to the public education of the State. The State accepted this trust and in 1855 organized by an act of the Legis­lature a Board of Trustees for the Inter­nal Improvement Fund, consisting of the Governor, Comptroller, Treasurer, At­torney General, and Commissioner of Agriculture, in whom the title to these lands was vested, and who were given supervision of them to carry out the con­ditions of the grant. Of the millions of acres comprising the swamp and overflowed lands which be­came the property of the State as stated, legislatures subsequently granted and trustees have deeded to railroads and other corporations and to individuals, for cash and internal improvements, a very large share, leaving only about three million acres now vested in the State. 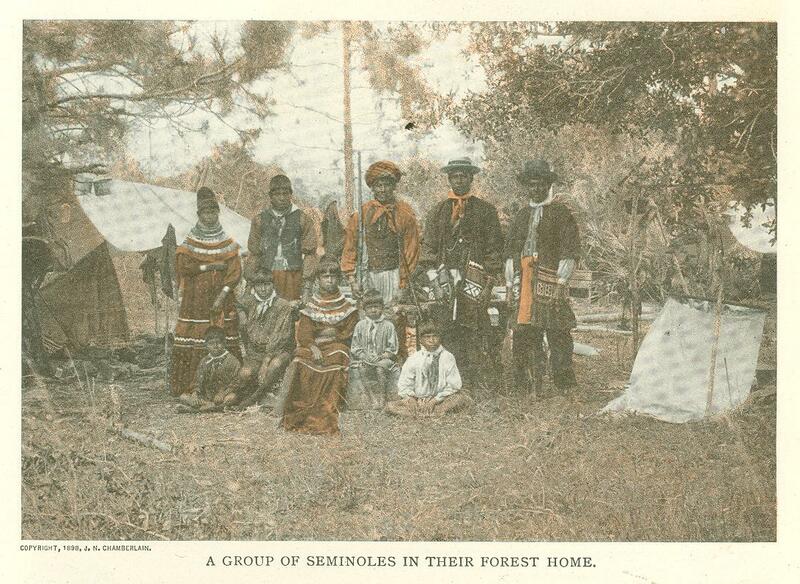 Before their grant to the State by the national government these lands figured only in story, and their actual occupation, as far as the Everglades were concerned, was left to a few half-breeds and Indians who were sufficiently acclimated to with­stand the ravages of malaria and swamp fever. Explorations were made, it is true, but they were generally unsatisfac­tory and unscientific and only served to fix the idea of their apparently absolute worthlessness. It was generally consid­ered impossible to reclaim them as they were thought to be on the sea level and directly affected by the ocean tides, Since the establishment of the trustees, the belief in the feasibility of drainage has grown with every survey, and engi­neering investigation and spasmodic ef­forts have been made to effect a recla­mation of a portion of the area. The most important effort of this kind was that of the Hamilton Disston company, which owns by purchase and otherwise about four million acres. A survey made by the company's engineers, among whom were V. P. Keller and J. M. Kreamer, showed that the surface of Lake Okechobee was a little over twenty-one feet above the sea level. 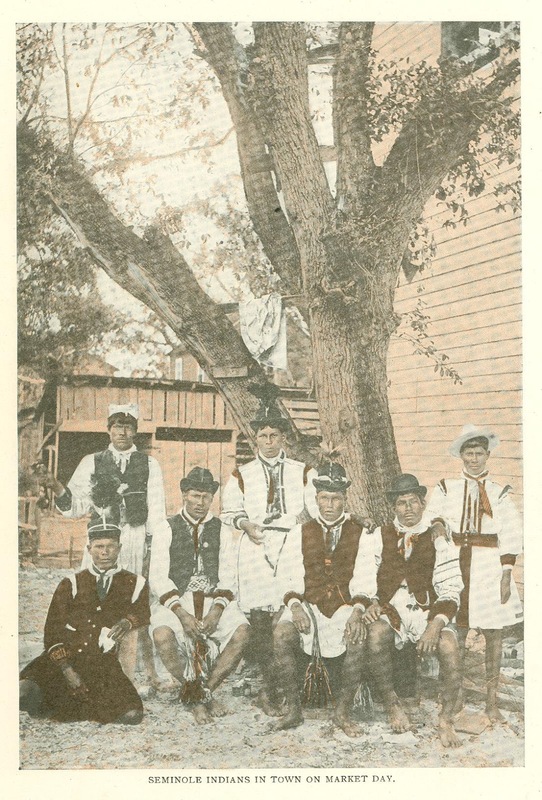 The Disston Company, acting upon this information, began opera­tions on the Gulf side in 1881, opening a waterway from Lake Okechobee to Lake Hicpoche and thence along the Caloosahatchee River to the Gulf. This gave direct com­munication through a distance of sixty-five miles from Lake Okechobee to the Caloosahatchee valley and the Gulf. 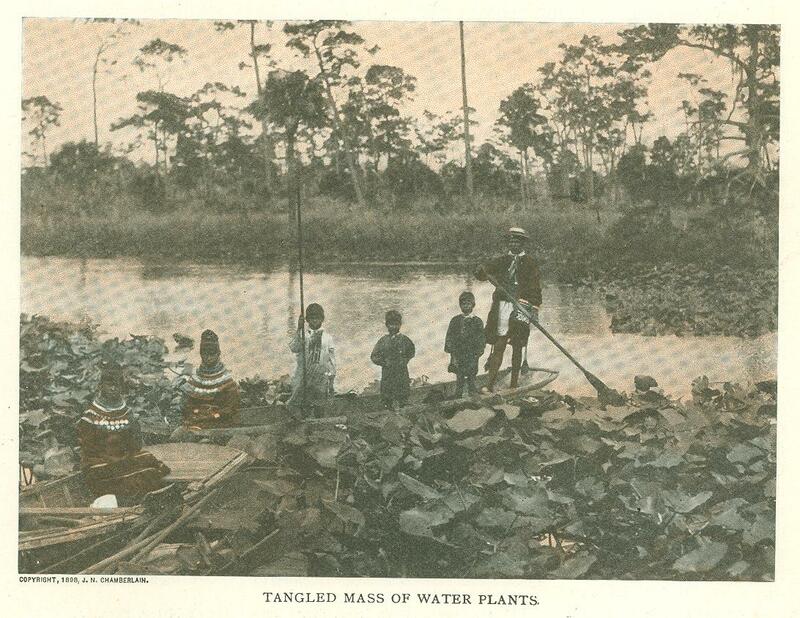 This passage was not successful, for the immense volume of water from Lake Okecho­bee, coming annually through the canal during the summer rainy season, overflowed the banks of the Caloosahatchee River and flooded the lands along its course. Although these operations were carried on for fifteen years, and not abandoned until 1896, it was not until 1902 that the canal was closed again. This backed the water into the Okechobee region and the Kissimee Valley and it was reopened to prevent damage in this direction. Since 1881, surveys have been made by corporation, state and national engineers from Lake Okechobee along the Kissim­mee River, from Lake Okechobee to the Gulf, and from Lake Okechobee to the Atlantic. 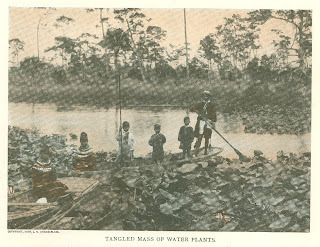 All of the makers of these sur­veys agree in the particular that Okecho­bee, the reservoir of the region, is twenty-­one feet above the sea-level and seem con­fident this amount of fall in the short distance from Okechobee to the ocean will make drainage an engineering feat of only ordinary difficulty. It can be seen from the map that the lake is, in no direc­tion in which it is proposed to drain, more than sixty miles from the coast. Basing his plans upon these surveys, Napoleon B. Broward, the present Gov­ernor, as Chairman of the Board of Trus­tees of the Internal Improvement Fund, is prosecuting work, in the name of the State, on the Atlantic side. He proposes to cut at least six canals, one hundred and twenty feet wide and ten feet deep, from Lake Okechobee to the ocean. The canals will cover the section be­tween Jensen and Fort Lauderdale on the East Coast, as shown in the map, embracing in round numbers, a region of eight million acres. The canals will vary in length from twenty-three miles to sixty miles, and the total canal mileage will not exceed five hundred. While these canals will carry off most of the water and will protect the sur­rounding country from overflows it is not ex­pected that they will en­tirely drain the land. They will be numerous enough, however, to en­able landowners, without too great expense, to cut lateral ditches into them, thus completely reclaim­ing the land and making it suitable for cultivation and habitation. The Trustees expect to operate, in completing these canals, six dredge boats with a dipper capacity of four and one-half cubic yards, and capable of mov­ing six and one-half cubic yards of earth per minute. The crane or arm of the dredges will have a reach of sixty feet on each side, thus cutting a canal of one hundred and twenty feet. The machin­ery used in excavating is manufactured in Chicago and is of the finest and most serviceable workmanship. It is shipped from Chicago to the East coast and there put together for use. Each dredge will cut about one mile of canal of the requi­site width and depth per month, working ­in ordinary soil. Working in limestone formation, the distance cut will be from one-third to one-fifth as great. Basing the estimate upon five hundred miles of canals this will mean six or seven years to complete the work. This is not making any allowance for delays and when the last mile is finished ten or twelve years will probably have elapsed. One of the dredges, the Everglades, has already been constructed and is now at work. Basing his estimate upon the work already done, Governor Broward estimates the cost of the State's share in the work as follows: Cost of six dredges, $300,000; cost of operation until comple­tion of the canals, $1,200 per month for each dredge, or $635,000 for the five hun­dred miles of canal; repairs, etc., $100,­000; making a total of $1,035,000 for the reclamation of about eight million acres, or between twelve and fifteen cents per acre. To raise this money the Legislature of 1905 created the Trustees of the Inter­nal Improvement Fund and Board of Drainage Commissioners, with. power to organize a drainage district and assess a drainage tax not to exceed ten cents per acre. Fearing that the constitution­ality of this ad would be questioned, the Legislature provided for a constitutional amendment, embracing the same subject matter. 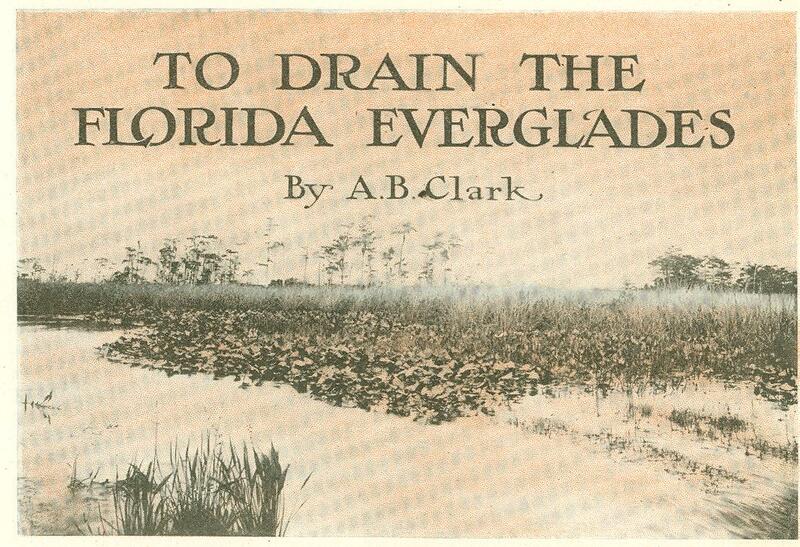 Soon after the act of the Legis­lature became a law, the Board of Drain­age Commissioners met and levied a tax of five cents per acre upon all lands in the drainage district. Money so raised, with the money on hand in the treasury of the Internal Improvement Fund, was to be used to begin operations on the canals. This tax led to a bitter fight be­tween the corporations owning land in the drainage district and the Board of Drainage Commissioners, and the tax collectors of the various counties inter­ested have been enjoined by the United States Courts, on the plea of the land syn­dicates, against the collection of the tax, on the ground that the Legislature ex­ceeded its authority in giving to any Board the power to levy taxes. Until the passage of the constitutional amend­ment, the work is being carried on by the funds already in the. hands of the Trus­tees of the Internal Improvement Fund. As to the value of the lands once they are drained there is scarcely any doubt. Governor Broward, Governor Bloxham, Disston and others have had tests and analyses made of specimens sent from va­rious parts of the region and, to say the least, the reports have been remarkable. Analyses made by Prof. A. P. Aiken, of the Royal Agricultural Society of Scot­land, Prof. H. W. Wiley, Chief Chemist of the United States Agricultural Depart­ment, Prof. D. Tacke, Director of the Peat Experiment Station, Bremen, and Prof. W. J. Williams, of the Keystone Chemical Company of Philadelphia, show a great similarity in the composition of the soil, from whatever portion of the re­gion the specimens, are taken. "The soil is rich and fertile and with proper cultivation the yield should be equal to that of any other country on the face of the globe." 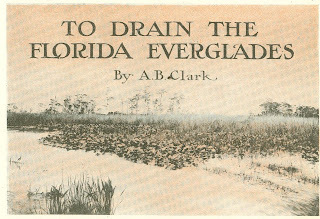 D. G. Purse of the United States De­partment of Agriculture in writing to Governor Broward concerning specimens of cane found in this section states that "its analysis shows the cane in question to be the richest in the world in sugar contents, affording a basis for exploita­tion exceeding and surpassing anything in the United States, Cuba or the Ha­waiian Islands." Analysis of these specimens of cane show them to contain between eighteen and twenty per cent of sucrose, the ele­ment in the cane convertible into sugar. These lands are not only adaptable to sugar cane culture, but are also the best of their kind for truck farming and citrus fruit culture. The lands of Manatee, Hillsborough, Lee, De Soto, Polk, Dade, St. Lucie, and Volusia counties have be­come recognized in the last few years as the best orange and truck producing lands in the United States. Single acres which elsewhere produce a few bushels of wheat or corn, a bale or two of cotton, or support a cow or two, in this region are producing oranges and truck farm products aggregating in value from $500 to $1500 per acre. Land now worthless will sell for $100 an acre when drained. Originally published in Technical World Magazine. 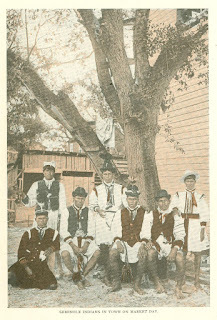 May 1907.